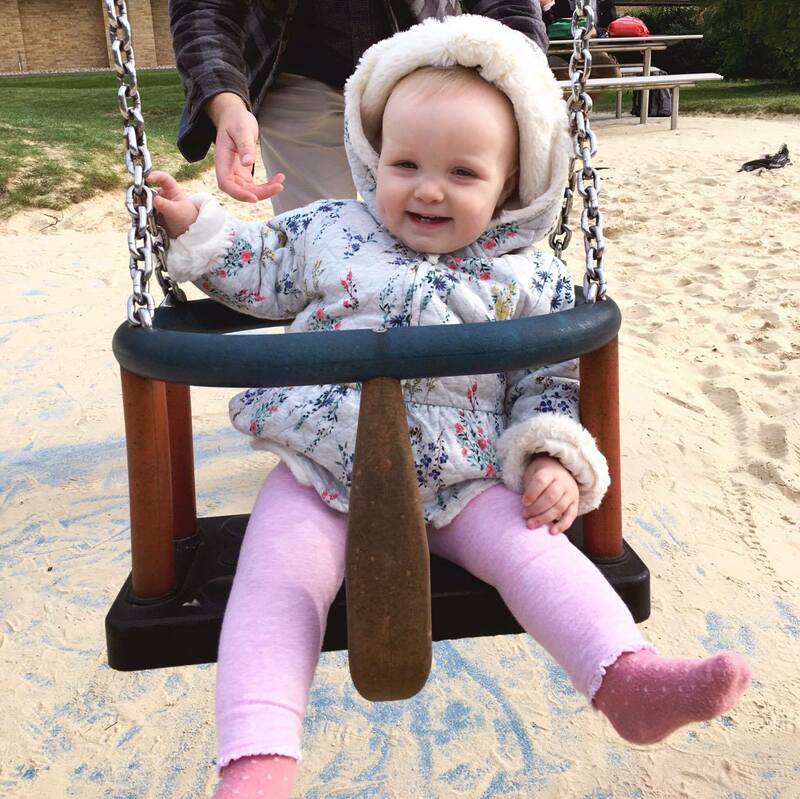 Olive Mae, 10 months (44 weeks) :: On Sunday we finally took the little lady to the park and she went on the swings for the first time. And loved it. It was such a lovely family day and seeing her lightly squeal back and forth was so wonderful.